Iran is set to hold the final stage of large-scale naval maneuver codenamed "Velayat 94" in the high seas. 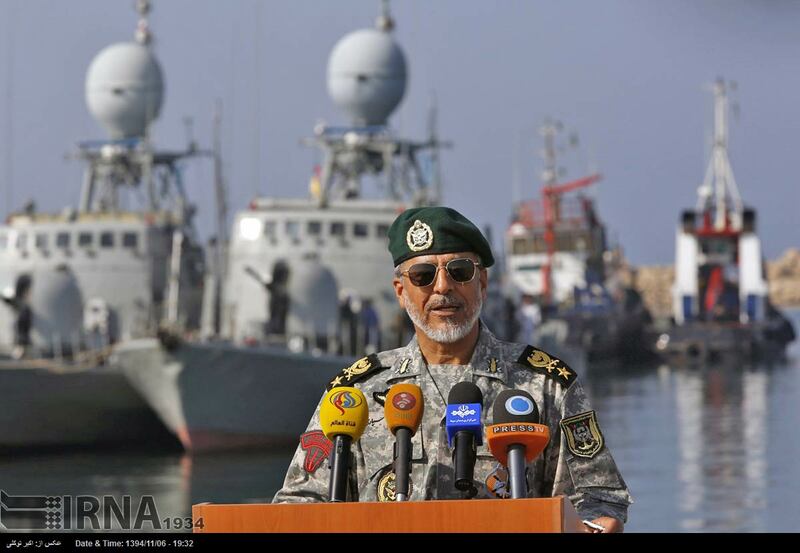 The final stage of the massive drills will be held in an area of three million square kilometers east of the Strait of Hormuz, Sea of Oman and northern part of the Indian Ocean, Iran's Navy Commander Rear Admiral Habibollah Sayyari said Tuesday. "The maneuver has been underway since January 21 and the forces have been deployed to their positions," Sayyari said, adding the tactical phases of the military exercise will begin on Wednesday. 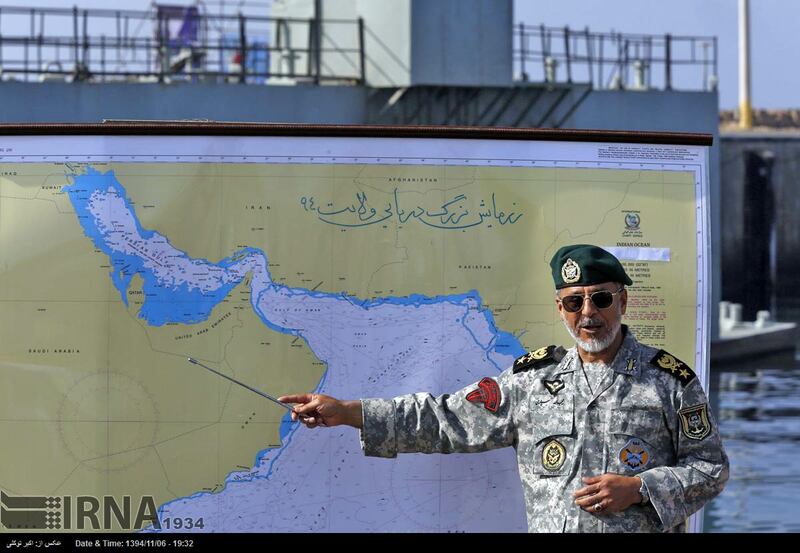 Sayyari said that the naval drills aim to demonstrate the might of Iranian naval forces in maintaining security in the seas. "In this war game, we will exercise how to maintain security in the northern part of the Indian Ocean," he said. He added that various types of submarines, destroyers, missile launchers, auxiliary cruisers, and marine brigades, would take part in the maneuvers.